Love sometimes isn’t all that easy to depict. Maybe the romantic comedy formula has it down pact, and so do romantic dramas. 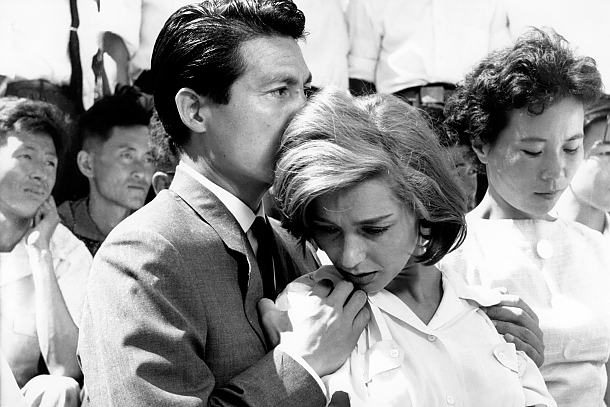 Yet, Hiroshima mon amour is so inventive with how it approaches affection, heartbreak, and stimuli, that it feels unmatched sixty years since its creation. Sure, Eternal Sunshine of the Spotless Mind is a great, modern take on how love affects memories. However, it’s drastically different in tone; it’s meant to feel both relatable but a product of a different reality, whereas Hiroshima mon amour is savagely within our timeline. We view images and hear voices in a near-documentary style, but really, we’re given conjured up images of a heated discussion. We don’t just feel the passion and heat, we live it. How does love for another get in the way of love of one’s self (and vice versa)? Love is not simple, but no film has quite shown its intense complexities on the level of Hiroshima mom amour. I’d label this as also a neo-noir, but Le Samouraï shares so many elements with classic noir films, that I’m going to take the less-obvious approach and look there instead. Noir films were at their peak during the early days of talking pictures, where most films were the classic black and white. 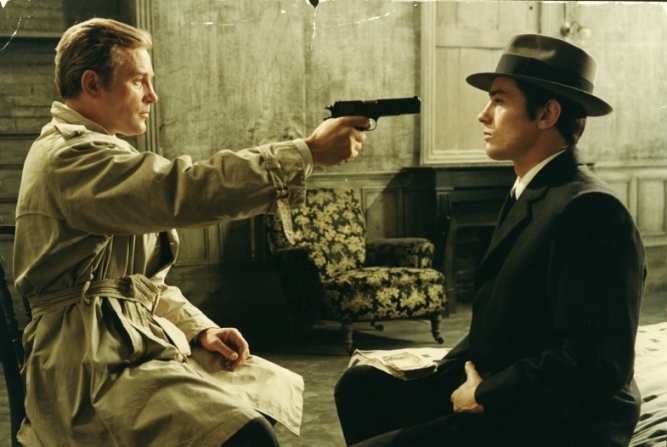 Le Samouraï takes advantage of its colour nature by turning the majority of the film into a combination of the darkest-blacks and the brightest-lights; the entire film is a dismal, cold grey. Costello is a hitman: almost like a detective, in a sense. He follows peoples’ trails, but he brings them harm intentionally (rather than by accident, as is so often the case in many noir films). The woman he falls in love with is not a femme fatale, but the next on his list to hit. So much of this film is about Costello already being in a world of hell, and not discovering it. Life is lacking minutiae, meaning, and depth. All is misery. Le Samouraï is clearly a neo-noir film, but it’s so much more interesting to see how well it tackles noir at its most purest forms. 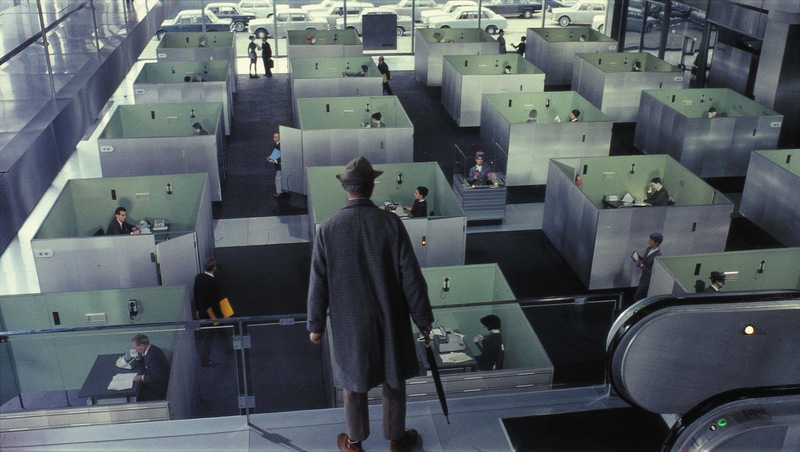 I don’t think we’ll ever see comedy being tackled the same way Jacques Tati looked at it ever again. He was already heading down a path of reinvention (when it comes to the genre); his Monsieur Hulot character was an interesting take on the director-actor comedic role that Charlie Chaplin, Buster Keaton, and others had done before him. Hulot in Playtime feels less like a klutz that changes the world around him, but more like us, the viewer, confused as to what this world even is. In fact, Hulot takes a backseat and isn’t even the focal point of Playtime. We get to enjoy the world ourselves, without a clear single protagonist to dictate the entire film for us. Then we get to really experience what Playtime (a film title and an order) is all about. How many ways can our every day world be changed in front of our very eyes? Leather chairs crunch and pop back up like plastic bottles. People hold doorknobs up so people can think there is a glass door to open there (why does a door even need to take the place of the broken door again?). Traffic turns into a carousal, as the vehicles spin around the roundabout. There are so many visual, auditory, and non sequiter gags in Playtime; it is unrivaled in its use of mise-en-scene. We know Possession is a horror film, but saying that discredits the entire first act. Is the entire family-falling-apart plot pointless? Absolutely not. We need this road to get to the over-the-top body-demonic horrors that await for us (the main event!). It’s important to remember the film not just as a deeply disturbing film with its frights, but for its family problems, too. Divorce in this film is not just a premise that grants the horror moments an early access. No, it’s deeply established. We see a broken heart, and a struggle to continue without one’s former life partner. With so much time in isolation, Mark goes insane. He tries his best to live his drastically new life, but he keeps being given curve balls. Why is his child – who is in the custody of his soon-to-be ex-wife – back at his place? He takes each and every new step either well or poorly. Nothing prepares him for the second and third acts of this film, though. Yes, we finally reach horror territory, but at its heart, Possession is an extreme form of a family drama, that shows how divorce can literally be hell. So much of World on a Wire is heavily built within the confinements of the science fiction genre. What makes it extra fascinating is Rainer Werner Fassbinder’s obsession with period piece films. This is his first (and only) attempt at sci-fi, but it’s still stuffed with his classic takes on the Germany of yesteryear. While futuristic, the titular world here is all high-end fashion oriented landscape; a bit of an upgrade on Godard’s Alphaville (which aimed to make a modern city seem like a dystopia). 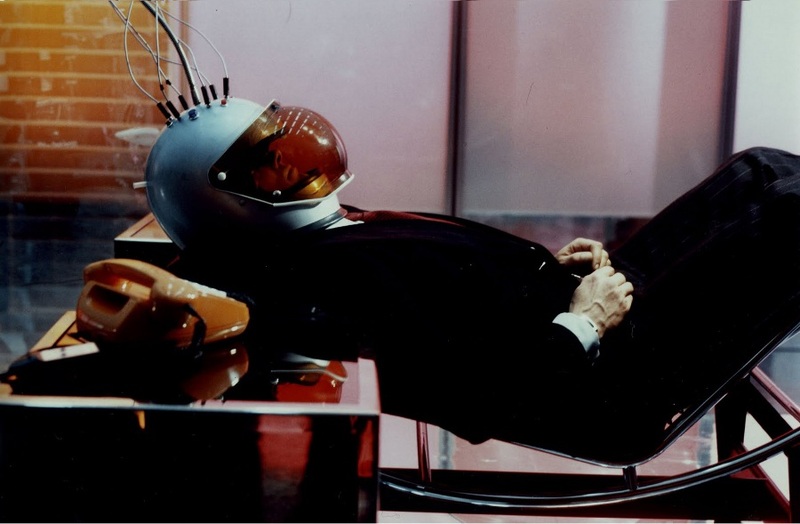 Fassbinder injected German innovations, style, and culture into this future, so it’s identifiable enough to feel obtainable. The politics here paint a not-so-subtle look at a different Germany (and the theme of living in a controlled, fictitious reality puts a nail in that coffin).